As a family in one of our Music Together® classes, you and your child will play musically under the guidance of one of our trained teachers. Each 45-minute class offer a dozen songs and rhythmic chants, including small and large movement activities, and instrument play. Each child participates at his or her own developmental level in singing, moving, chanting, listening, observing, or exploring musical instruments. 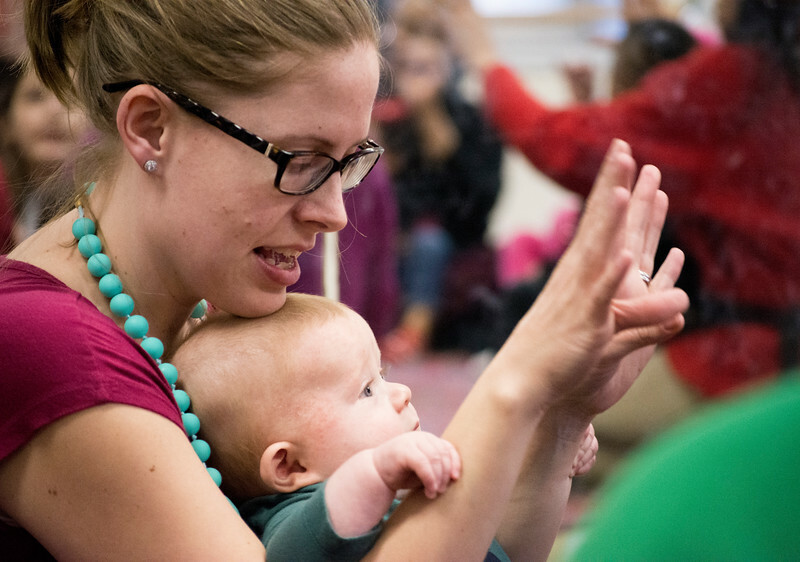 Teachers present these fun musical experiences in ways that are informal, non-performance-oriented, and developmentally appropriate for children. 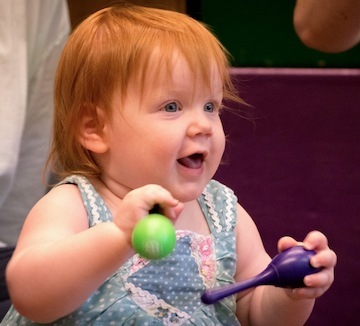 We welcome the whole family to join in this family music experience, and any caregivers (parents, grandparents, nannys) can bring the children to the class. We offer discounted rates for siblings, and third sibling and siblings 0-8 months are free. Come join us, and be a part of the community of families sharing songs, movement, and instrument play!